The 2013 free game engine hasn’t really gotten rolling yet from the holiday season, so this week we’ll take a look at a few games reviewing the end of the year along with a few others that got lost in the holiday shuffle. 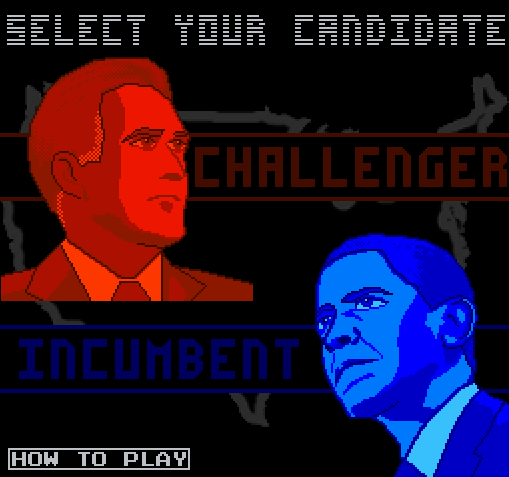 Super Debate 20XX is a simple rock-paper-scissors game to determine the fate of representative democracy. As a game it’s simple to the extreme, but it’s also one of a few games commissioned by The Onion’s gaming wing, The Gameological Society, about 2012. It really exemplifies this week's theme of not just remembering the year, but actually playing it. Miner Rescue is a fun little platformer that got lost in the shuffle of all the free games this past December. The plot is rather simple: there are miners trapped down in a mine filled with monsters and you have to save them. But the game executes on its simple premise well enough to deserve some praise. The Gameological Society’s other great year-ending game, the Star Wars Debacle Simulation is less about weighty political events. 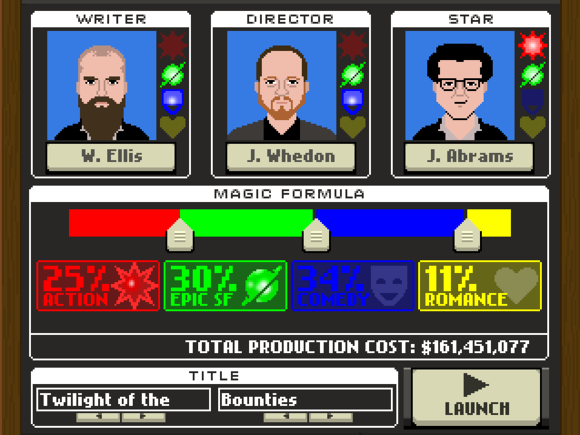 Instead it puts you in charge of building the perfect team of Hollywood talent to make Star Wars: Episode VII a success. Of course, while you can make the movie better or worse through your choices, two outcomes remain consistent: the movie makes a ton of money, and fans hate it. Or maybe I just shouldn’t even be virtually running the next Star Wars movie. Though the title seems timely, 8-bit music artist Disasterpiece actually pushed out his update to this game in December. The new version turns January into a very interesting music generator with a little bit of a story around it. It’s not much of a game since the only real goals here are created by the players, but it is a lovely little virtual instrument from a talented music artist. Lil’ Commando is an action game that sees you taking on the role of an adorable little Rambo-like hero facing down a literal army of opponents. It plays a bit like Contra crossed with a shooting range as you gun down opponents for power-ups while trying to avoid the ever-increasing hale of bullets from your enemies.